This year, I’m trying to carve out some more time for myself to read things for my own enjoyment. I’ve had trouble with this in the past few years because I often have so many other things to read (textbooks, academic papers, novels for literature classes) that I don’t feel like reading on my down time. Listening to audio books has been a great way to still enjoy literature but it’s still not the same as actually reading a book. I have an ever growing list of books that I’ve meant to read. Lately, this list has included more non-fiction books than novels, as I’ve been gifted books about science, astronomy, or philosophy. Unfortunately, the thing that draws me back to reading a physical book is the story. So much of my non-personal reading is focused on gathering information and learning new concepts that I have less energy to do the same thing for my own personal reading endeavors. I want to be pulled into a story/world/plot rather than need to thrust myself into the book and attempt to come back to the surface with some new knowledge. So, these books sit on the shelf waiting for me to have endless time to delve into the interesting topics within them – to be compelled to read to absorb the concepts rather than to follow the story. This year, though, there is a book that I am absolutely determined to read. It may not have fantastical plot line, and it may remain firmly in my own universe, but the content is just as captivating, and something I feel I owe myself to learn about. What might this topic be? Women in science. In particular; the book “Headstrong: 52 Women Who Changed Science and the World” by Rachel Swaby. My education has consistently had small asides where some impressive work of research is attributed to a man, but later revealed to have been mostly done by a woman or some concept is thought to be novel because a woman was the person to discover it. It shouldn’t be this way, we should be just as familiar with the work of women as we are the work of men. For many women, their stories of success are not just inspiring due to the incredible work they have done, but for the obstacles they overcame along the way – because there was no other way. The cover photo for this post is part of the decorations I have by my desk. They are women scientists (mostly astronomers and computer scientists) who are recognized for their contributions to the field. I want to put more up there. This year I am committing myself to read a story about a woman in science each week. 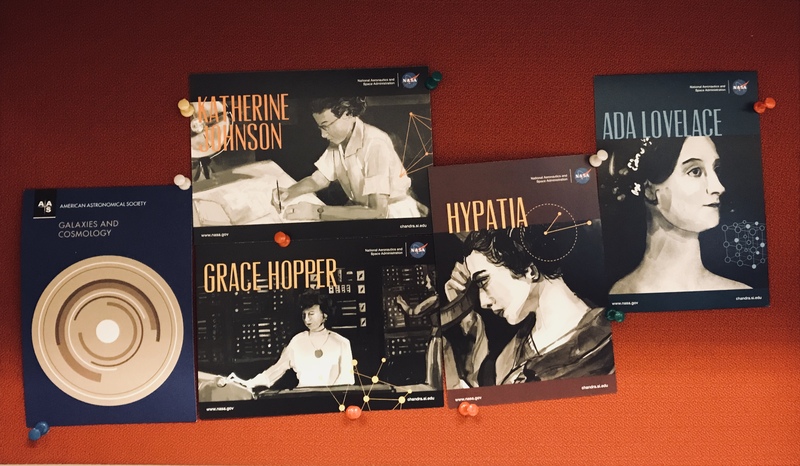 By the end of the year I will know the stories of 52 more inspiring women, I will know about 52 more careers in science I can relate to, and I will have 52 more examples of women who made a difference. But it’s not enough to just learn about these women myself! So I also plan, each month, to pick my favorite woman from past few weeks and share their story, and why I connected with them so much. Mary was the first woman admitted to the Ecole de Medecine in France. She knew she wanted to be a doctor since her childhood but was discouraged from going to medical school not only by the schools themselves but also her father who offered to give her the amount of her university tuition as an incentive to not continue to higher education. She didn’t take it, instead she was determined to continue her passion and to help other women do the same. Jacobi could have simply used herself as an example – “Hey! I don’t feel like I’m any less capable at my time of the month!” But this would not be nearly as impactful. 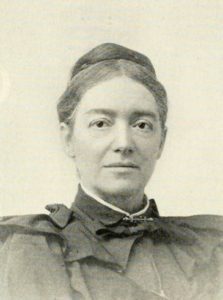 No, as a true scientist, she put together 232 pages of analysis on women’s cycles and their impact to their daily lives in order to provide evidence that; “There is nothing in the nature of menstruation to imply the necessity, or even the desirability, of rest.” While Clarke’s book had been used as an argument against women in higher education, Jacobi’s article helped open up opportunities for women. Mary inspires me not only because she strived for the education that she was discouraged from getting, but because she later used that knowledge to help dismantle the biases that made up the barriers she faced in the first place. This in turn helped many more women pursue higher education. I am delighted that you are reading about one of these women each week. It’s so interesting to learn of the absurd beliefs that were held, and the crazy conclusions that were drawn and pushed forward as truth regarding women. I’m grateful to Mary and other women who didn’t allow it to stop them and who pushed through /overcame the obstacles in their way so that we have more opportunities and are nearer to equality now. It does make you wonder which theories and oppressive beliefs held about people today will be looked back on and viewed as absolutely nuts 50, 100 or 200 years from now. Well, for starters, so far our nation ostensibly seems to have, on average, the oppressive belief that women shouldn’t be our president. Maybe this time. And that could, in turn, largely impact major leadership roles across the board, including science. J’Neil, this is positively a relatable quandary, reading other dense nonfiction during a Ph.D. program! Each woman in that book does have a story, at least, and you’ve woven a lovely version of hers here. Look at her picture, with the prim collar pin and the strict bun. But of course she wore her hair down at home, at times, and existed in full color. I’m looking forward to the others’ stories, that you’ll also bring to living color with your words! Really looking forward to hearing about the women you learn of!